Skylark Cottage on the beautiful Isle of Skye sits in an elevated position in an area known as Upper Breakish. Approximately 5 miles from the Skye Bridge, 1.5 miles from the town of Broadford and 27 miles from Skye’s capital, Portree. 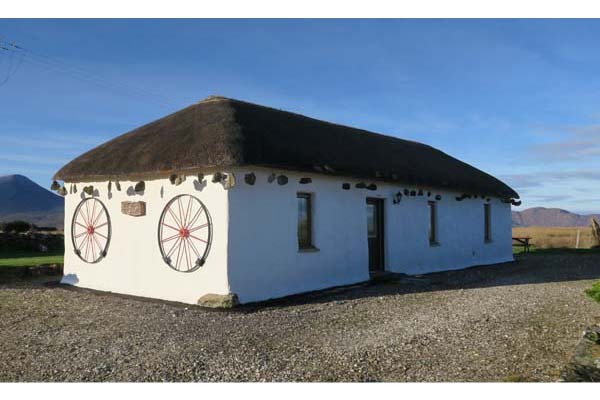 It is an ideal base from which to explore the entire island and is within strolling distance of the stunning sandy beach at Ashaig. 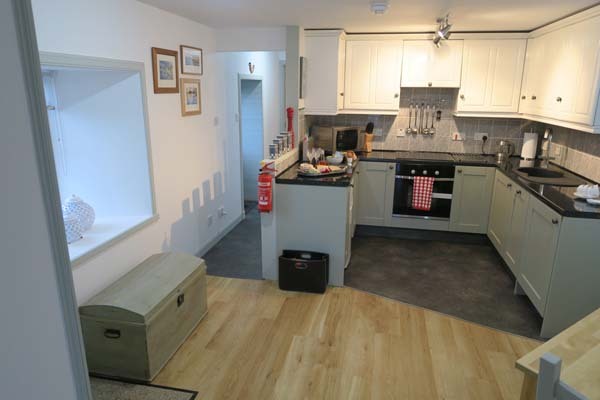 Due to the internal design of Skylark Cottage it may not be suitable for some disabled people, please telephone or email the owners prior to booking if you want to know more about this. 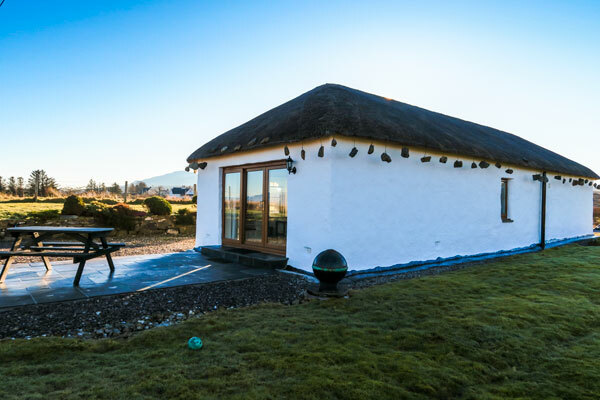 A renovated & extended thatched cottage which offers a blend of traditional Highland style with modern luxury whilst still retaining all the character of a traditional Skye Crofting Cottage. Skylark Cottage has been sympathetically extended lengthwise to create a lounge with full length windows and sliding door from which to take full advantage of the far reaching views over Broadford Bay to the islands of Pabay, Scalpay & Raasay. A wonderful self-catering cottage; just perfect for a romantic escape. There are only a few thatched ‘Black’ Houses to be seen today in the Highlands. Over the centuries thatched cottages have been part of the Highland and Island way of life. The crofters of the islands kept alive the stories and songs which have made the Hebrides famous. Skye is a romantic place to experience the island’s culture, history, legends, scenery, weather, music and poetry. Combining to produce something very special indeed. For the full specification of Skylark Cottage and details of what is included during your stay check the Self Catering page.